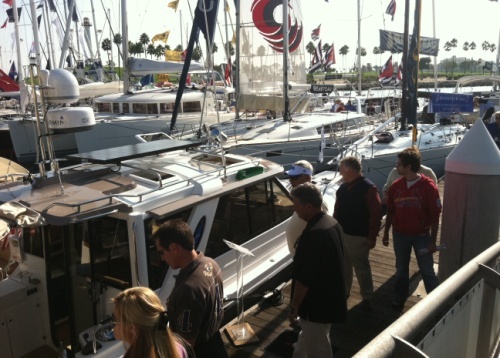 The boat show formerly known as the Long Beach Boat and Yacht Show has been re-imagined, reengineered, or simply renamed. It is now known as Strictly Sail Long Beach, and it is being hailed as the largest sailing event in Southern California featuring more than 60 sailboats of all shapes and sizes, hundreds of sailing accessories and the largest series of educational seminars in the region, plus a variety of attractions for sailors of all ages. 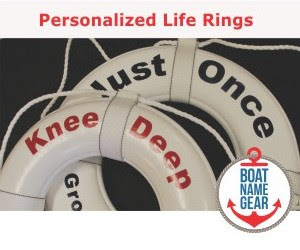 The 2012 Strictly Sail Long Beach boat show is organized by the fine folks at the National Marine Manufacturers Association (NMMA), so even though it is the event's first year with the new name, it is sure to be a good show. Strictly Sail is going on at Shoreline Village at Rainbow Harbor in Long Beach, California, from Thursday, October 18 to Sunday, October 21. Show hours are noon to 7 p.m. on Thursday and Friday, 10 a.m. - 7 p.m. on Saturday, and 10 a.m. - 6 p.m. on the final day of the event. Admission is $10 for adults, but you can get in for free if you are 15 or younger and with an adult, or if you are active military. Two-day show passes are $15. 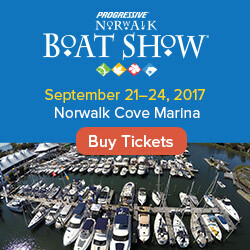 For the latest information about Strictly Sail Long Beach and a link to the official show website, visit our boat show calendar.